This past weekend my wife Mary and I traveled north to our favorite spot on the Gunflint Trail. A trip such as this serves multiple purposes for us. Relaxation, a visit with friends we have made over the years, and more than likely a new and exciting photo opportunity. When we arrived Thursday evening we noticed a group of wolves on the ice of Gunflint Lake. They were way to far away for photos so we settled in and relaxed in the cabin. 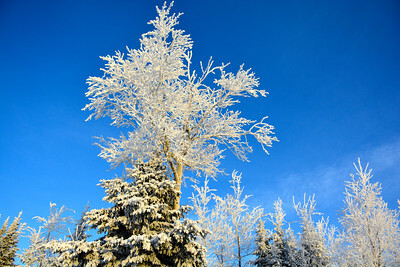 We woke up early on Friday morning to an absolute phenomena. The entire landscape was clothed in white, but it wasn't snow. 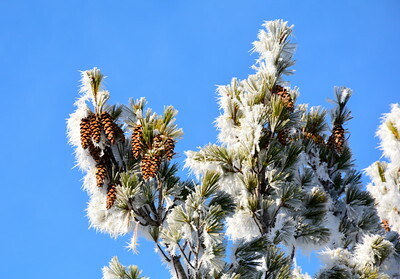 It is called hoarfrost. 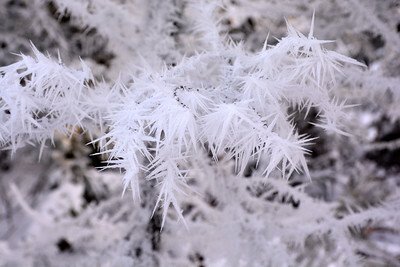 the formation of ice crystals on almost every surface. It is an absolute work of art. We spent the morning viewing this new found gallery pausing every other step to say the one thing that just kept coming out of our mouths...WOW. 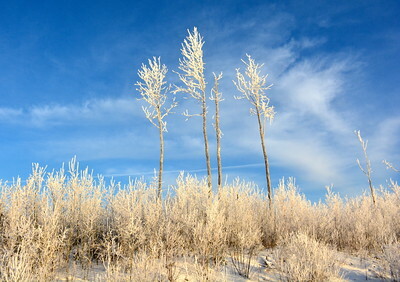 The land seemed a little drab once the temperature warmed. We felt fortunate to have witnessed this miracle of nature . Photographers are always in search of special photos and sometimes are forced to get creative. This time the creativity was already provided, leaving only the capture part of this opportunity for this photographer.